Kevin asked: Why do car batteries corrode? So i'm going to dive right into it to help you find out why this happens, what's the effect it may have in your car's functioning and how to get rid of corrosion! ﻿Negative effects of corroded terminals. How to clean the terminals from corrosion. 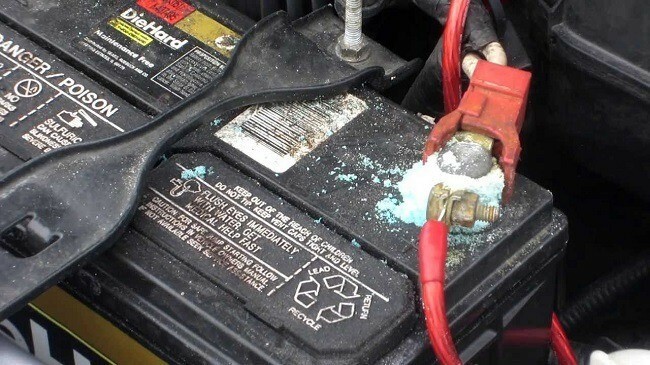 Corrosion (this blue-ish dust) on the battery's terminals happens only on lead-acid batteries, and it is caused by the hydrogen gas that acid releases when it reaches certain temperatures. It mixes with other components from the atmosphere and it attacks the metal terminals from the battery as they are exposed to air. As a rule of thumb, you'll find corrosion on the negative terminal of the battery if this is under low charge and it will appear on the positive (red) terminal if the battery is being overcharged. Negative effects of corroded terminals. Corroded materials do not have the same electrical properties as their non-corroded versions. A layer of corroded lead will have an impact on the amount of power that the battery can deliver as it encounters an initial resistance. This is typically one of the first things to check when the engine has cranking issues. It's very easy to clean the terminals and prevent further corrosion to happen. Get some baking soda and dillute it on water. Get a metal brush, a pair of gloves and make sure to wear eye protection of some kind. Thoroughly clean each terminal using the brush and soda solution. Each six months get the hood up and check, as the grease may break down and corrosion could start building up again. Re-apply and you'll be fine! So as you've seen, solving this corrosion issue is really easy. AGM batteries and other kind of batteries don't suffer from this issue. Consider it when purchasing your next car battery! If you have any questions, hit me with them on the comment section below! 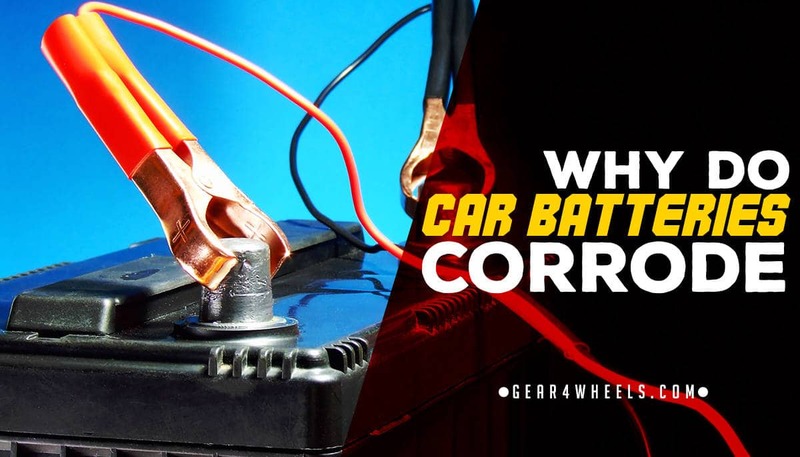 Why Do Car Batteries Corrode?